Please join Columbus GreenSpot and the Franklin Park Conservatory for the annual GreenSpotLight Awards Celebration on Thursday, March 29th. The program is scheduled to begin at 9:00am and end at 11:00am. We will be recognizing three businesses (small, medium, and large) that have excelled at adopting sustainable practices over the past year. 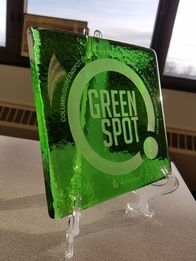 We will recognize the business graduates of the GreenSpot Sustainability Initiative class, a GreenSpot designated school (St. Mary), and the most recent GreenSpot Neighborhood (German Village). We will be accepting donations for the Clintonville-Beechwold Community Resources Center, a 501(c)3 whose mission is: "In the best tradition of Settlement Houses, we respond to the needs of our diverse community to foster safer, healthier and empowered lives." Donations of 1-day bus passes, toiletries, diapers, and seed packets for their community garden will be collected at the event. This year’s celebration will be held at the Franklin Park Conservatory, Wells Barn, 1777 E Broad St, Columbus, OH 43203. Click here for more information and to RSVP. Thank you to our sponsors Franklin Park Conservatory and AEP Ohio for making this event possible. The GreenSpot Advisory Board was recently formed to identify and work towards promoting GreenSpot in the community. They are currently working on a new homeowners green guide, how to start a green group at work guide, engaging immigrant populations, and GreenSpot schools initiative. The board is made up of 23 government, nonprofit, and business organizations. Look for more updates in future eNewsletters. Columbus hosts the largest Earth Day volunteer service event in the country; you can help it continue this year. This is the perfect activity for your green team! Set up a service site in your neighborhood, school, or park to plant trees, remove trash, or a work at a community garden. Then invite your coworkers, friends, family, and others to come and help. If you are interested in creating a work site for your office, church, or organization, Green Columbus will work with you to get you started. For more information and to register check out their webpage or email worksites@greencbus.org. It is that time of year where the doldrums of winter are fading and spring rains melt the snow and fill up those temporary wetlands called “vernal pools.” GreenSpot will be leading two tours of a vernal pool; the first on Saturday, March 31st from 1-3pm and the second, Saturday, April 14th from 1-3pm. You’ll learn and see what dwells in these temporary pools, their importance to the watershed and clean water, and have a fun time in nature! GreenSpot members and Go Green Hilliard members are eligible to go on the tour. If you are interested email GreenSpot@columbus.gov with the subject line “Vernal Pool.” Space is limited. Does your organization want to help create a greener, more beautiful community? Recruit your colleagues and friends to take a Friday afternoon out of the office to give back. Register for this volunteer project and help beautify Walnut Hill Park by planting trees, removing invasive species and picking up litter. Bring gloves, if you have them but additional pairs will be provided. 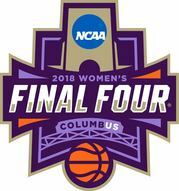 Trees, snacks and reusable water bottles will be provided to volunteers by the NCAA Women's Final Four. REGISTER HERE: This event is a collaboration between Columbus Recreation and Parks, NCAA Women's Basketball, Greater Columbus Sports Commission and SWACO. In 2016, Columbus was named America’s Smart City as the winner of the U.S. Department of Transportation’s (USDOT) Smart City Challenge. As the winner, Columbus was awarded a $40 million grant from the USDOT to test the latest mobility technologies, including autonomous vehicles and connected vehicle environments. Columbus was also awarded a $10 million grant from the Paul G. Allen Family Foundation to reduce greenhouse gas emissions by electrifying the transportation sector. To this end, Smart Columbus is working to increase central Ohio electric vehicle sales by 486% and reduce single occupant vehicle commutes to large workplaces by 10% by 2020. Want to get on board? Be on the lookout for the Smart Columbus Ride and Drive Roadshow, your opportunity to test drive some of the latest electric vehicles on the market. The Roadshow will be making 50 stops at central Ohio corporate campuses and public events this year. 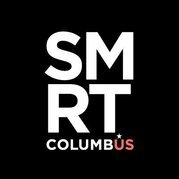 You can also learn more about Smart Columbus at Smart Columbus Live, a two-hour immersive experience about smart cities and the future of mobility in central Ohio. Click here to register. Your commute to work can be so much more than fighting traffic. Gohio Commute, a program of the Mid-Ohio Regional Planning Commission, equips commuters with resources to help them explore new ways to commute in central Ohio. Take some time to find out how your ride can improve your health, save you money, and even help you be more productive. Visit www.gohiocommute.com to discover a smarter way. As a GreenSpot member you have taken a pledge to conserve and protect water. Now is the time to get double credit! U.S. EPA WaterSense program is offering a free 2018 monthly resolutions checklist for those who take their pledge. Learn more about the pledge and how to download your resolutions calendar! Did you know they were a GreenSpot? Franklin Park Conservatory! Being “green” at the Conservatory does not stop with plants! Composting all plant trimmings, using smart irrigation and climate control systems, recycling and educating the public on sustainable practices go hand-and-hand with our mission. A signature program for the Conservatory is Growing to Green. Growing to Green is Columbus’ largest organized effort to promote and provide free community resources for community gardening and city beautification. Initiated in 2000, Growing to Green has assisted in the start-up or renovation of more than 250 community gardens throughout the central Ohio area. Additionally, every March the Conservatory offers We Dig Ohio, a one day summit filled with presentations and workshops that explore urban agriculture and community gardening in the Ohio region. An exciting development for them is the formation of a Conservatory Green Team in 2017. The Conservatory Green Team is composed of cross-functional staff members at the Conservatory, who are motivated by sustainable practices and reducing the organization's resource consumption. To date, the team has performed a waste audit, created 2018 goals focused on food waste and recycling and hosted speakers to educate staff on recycling practices. In the future, expect to see educational signage and programs centered on recycling and waste reduction in the Scotts Miracle- Gro Foundation Children’s Garden opening this spring! And save the date for Pollinator Palooza Saturday, June 23, 11am-3pm - a fun filled day with hands-on learning opportunities, crafts, food, music and more at this free event on the ScottsMiracle-Gro Community Garden Campus! GreenSpot is a program of the City of Columbus Department of Public Utilities. Stay connected through our website.